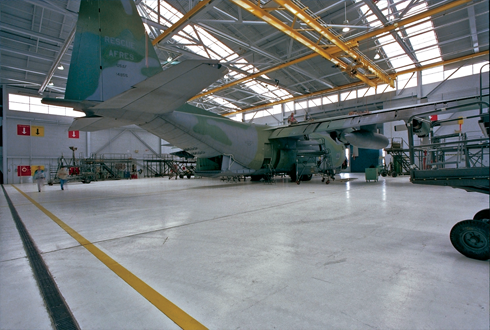 BBL provided full architectural services for the HC-130 Aircraft Maintenance Hanger. This highly specialized 26,000 sf facility is used to house HC-130 aircraft, a training classroom, offices, tool rooms, a conference area and storage space. 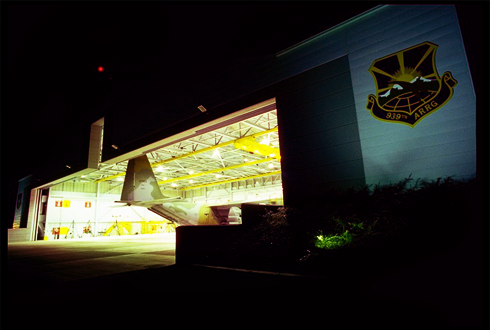 This building introduces natural light while uniquely conforming to the shape of the HC-130 aircraft. This design element provides an extremely successful transition into a campus of primarily one-story buildings.